A moment of clarity is usually a moment when you see through all the interference and stare at the truth of a situation. Sometimes it’s a drug addict seeing through the haze of chemicals and suddenly seeing what they’re doing to themselves, sometimes it’s someone meditating on a problem and suddenly seeing the answer unfold before them…sometime it’s Jay-Z. For me, my Ironman moment of clarity happened last week when my wife said that she was going to head out on Sunday with a few of her friends to celebrate her Birthday, and my first thought was ‘But that’s going to mean I can’t get my training done!’ Then I thought, ‘That’s not the sort of thing a loving and supportive husband would think. That’s not even what a basic human being would think. That’s what a sociopath would think!’ In my moment of clarity, I saw that achieving something I’ve always wanted to achieve, may mean becoming someone I never wanted to become. The sort of person who sees everything through a prism of ‘How does this impact on me?’ In short, becoming a selfish person. 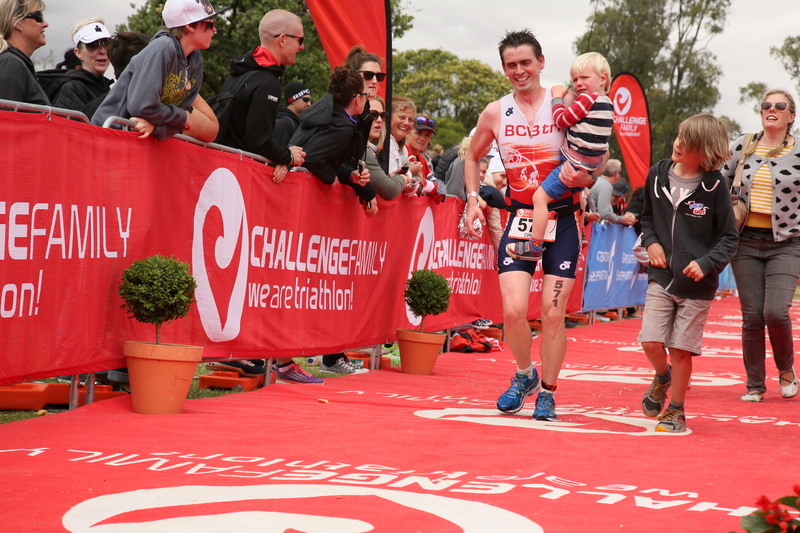 Becoming an Ironman is a selfish pursuit. I’ve tried to justify it to myself by saying ‘It will be great for the kids to see me apply myself to achieving a dream. They’ll see that hard work reaps rewards.’ But in truth, they haven’t got the foggiest idea what I’m doing when I’m training. They just know that Dad goes away for hours at a time…and returns sweaty and hungry. I can tell them that I’m going to swim 3.8km, ride 180km and then run 42km in a day…but that means absolutely nothing to them. They simply have no point of reference. I may as well tell them I’m going to map the human genome for all the relevance it has to their lives. And it’s not like they can tell their friends ‘My Dad’s an Ironman!’Because, the most likely response is going to be ‘Your Dad’s Ironman?!! !’…and then I’m going to have a procession of disappointed children wondering through my house asking where my metal suit is? And how come I can’t fly? and why don’t I have a collection of luxury sports cars in my garage? and come to that…why don’t I have a garage?! The simple truth is, if I said ‘Hey kids, would you prefer to have your Dad be an Ironman or actually be around to take you to basketball and circus?’…I’m pretty sure I know what the answer would be. There invariably comes a time when you are trying to make your way back out through the surf that you see a wave rising up in front of you. You can either sit back, let it break and hope that you can simply duck-dive under the whitewash. Or you can paddle your arse off and hope that you can get over the wave before it breaks. But the closer you get, the bigger the wave seems and the more likely you are to get a serious working over. With about 7 weeks to go before the Melbourne Ironman I was paddling frantically to get over that wave, but it was getting bigger and bigger. The wave was made up of the guilt I felt over the time I was spending away from my family (a few days earlier my 3yo son had walked up to me while I was doing the dishes, looked up at me and matter-of-factly said ‘I hate you Dad.’ then casually walked off), the guilt I felt for missing training sessions, the despair I was feeling seeing all my other hobbies slide into the background, the fear that maybe I wasn’t going to be able to complete the race, the fear that if I did finish the race maybe I was going to spend 13 – 15 hours hating it and wondering why I even bothered, and of course the knowledge that with 7 weeks to go my training load was only going to increase over the next couple of weeks. So I did. I took 4 days off training. I spent time with our three kids. Took them to a movie. Did some photography work. Took my time with the cooking. In short, acted like a normal person, and in doing so, gained a little perspective. My goal going into this was just to finish the Ironman before the cutoff. Spending 15 months listening to people who race Ironman and 70.3 distance races regularly may have got me thinking about an 11hr time versus a 12hr time…but I didn’t get into this to beat a time. I got into this to do an Ironman, and so long as I finish before the cutoff, then I’ve achieved that. To be the guy who sees what everyone else has done to allow me to live a dream. 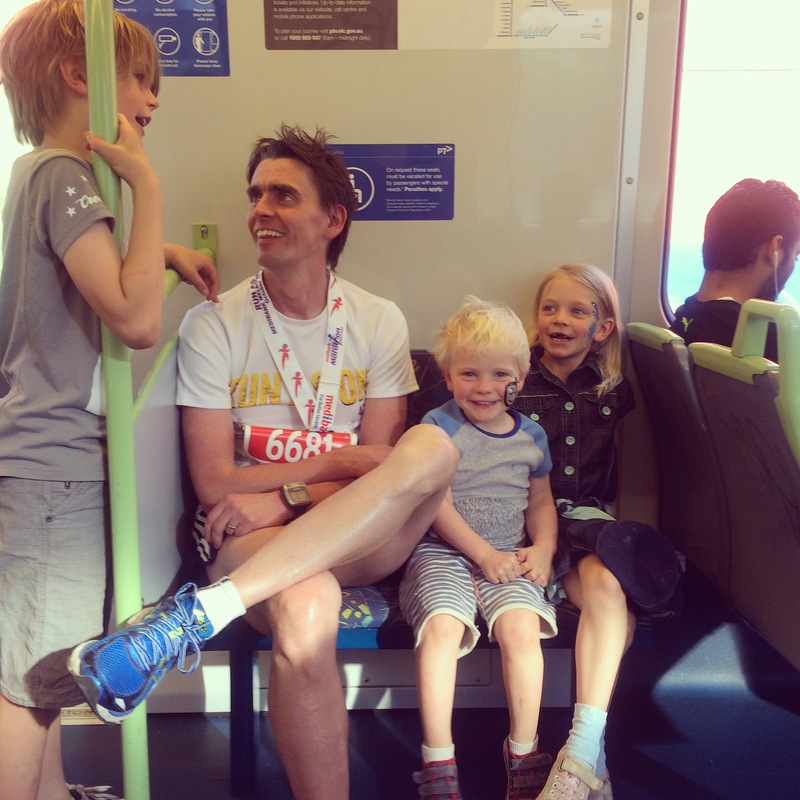 The support crew on the train ride home from the Melbourne marathon.